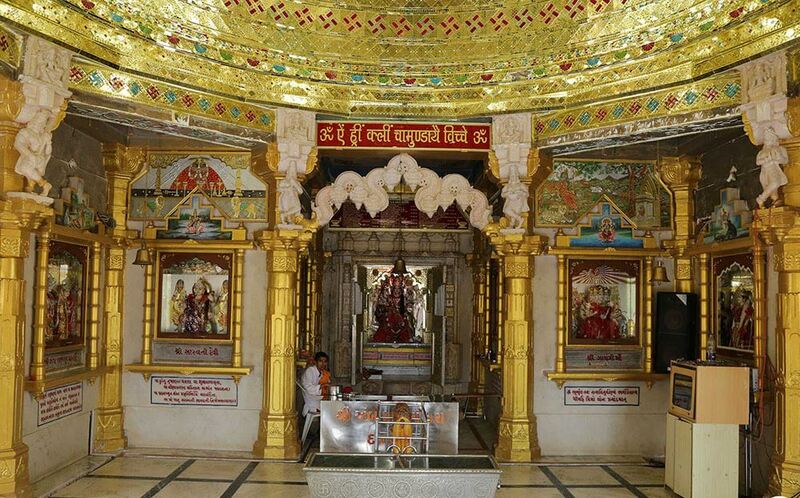 Ambedham or Ambe Temple is nearly 15km far from Mandvi beach at GodharaMandvi rought.Generally in Gujarat has two Godhara.One in Panchamahal district and second in Kutch district.Kutch.Ambe Dham is located at Godhara Kutch.It is a very beautiful temple of Goddess Amba.Here is some fact about Ambe Dham Godhara Kutch Gujarat. 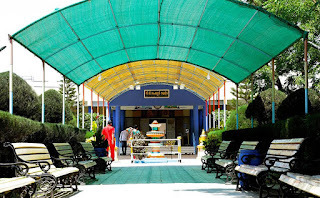 How to reach by Road or Bus : There are many public and private vehicals available to reach here.Mandvi is nearest city.many bushes and taxis available reach here. 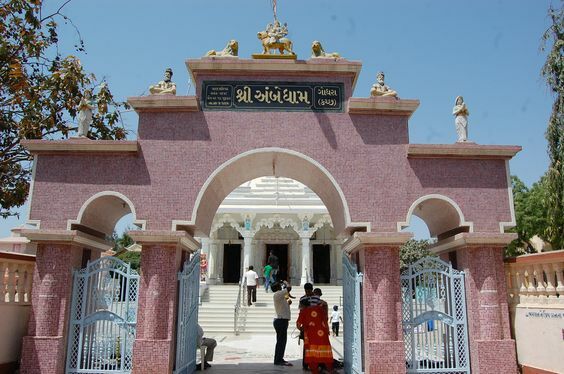 Ambe Dham is handling by Shri Jai Ambe Sarvajanik Trust - Kutch Godhra.Godhara Kutch is a small village in the region, so no one knows all Ambe dham. 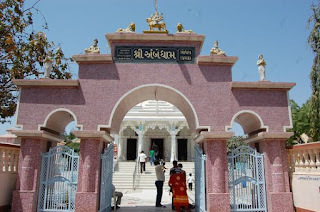 Here mabel stone Ambe mata temple is built known as Ambe Dham.The Temple Main Gate, veranda, roof, pillars are white marble everything. Tiger two brass statues set on the verandah of the house, which immediately draws attention. Mata would be fun to do. Tourists are coming here for more than a servant. Temple complex is huge. 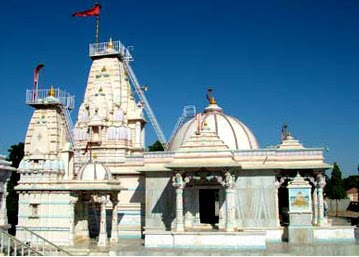 There are many other temples in the complex. 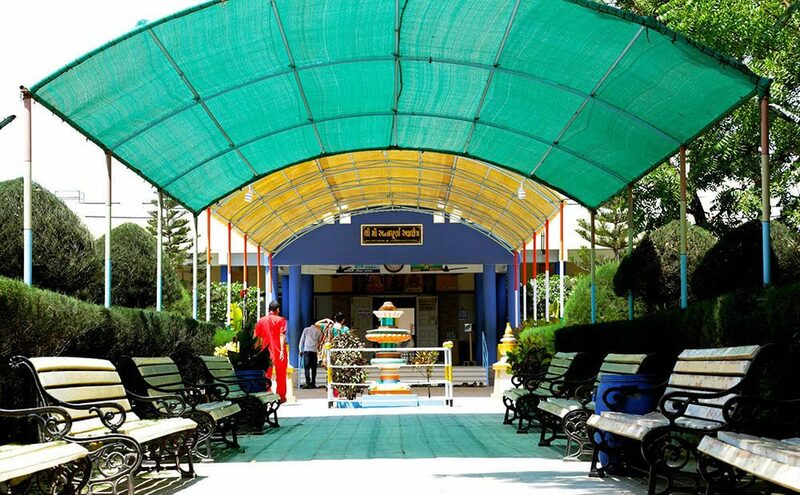 Behind the main house is India’s biggest idol. Next to it is an exhibition room. The second is a small pool filled with water and a stone float on water. This is an example of a stone on the water to swim. Listed Ramayana story, Lord Rama to go ahead by a stone bridge, built over the sea. Next to it is prerna dham. Here the idol of Mahavir and events to suit a variety of jungle animals, etc., and is a replica of the statues. Next to it is an exhibition center. Here are the events in our religious texts as the figurines are made to see that these events will be fresh in the mind. It seems like more than one foot, standing pole, etc. Hiranya kashyap slay the Lord Narsimha. The next stone and clay are scored using the Kailash Mountain. 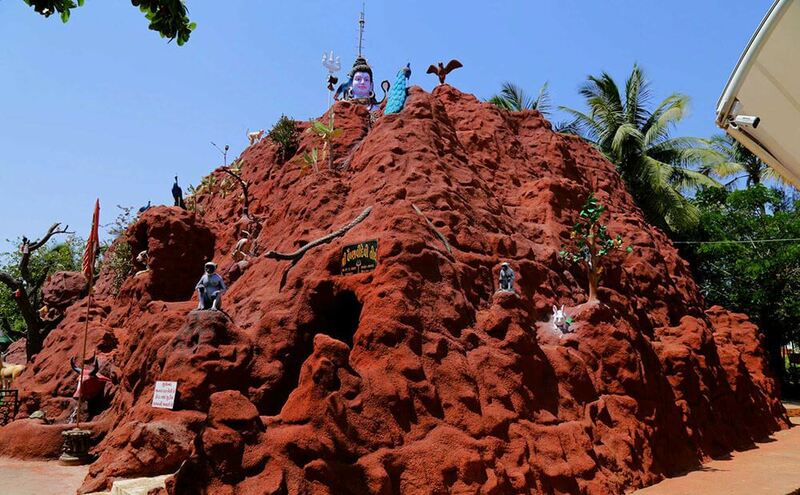 Lord Shiva is seen sitting on top of it. The mountain is very nice and worth seeing. It grabs the audience's attention from a distance. Enter the cave in the mountain, twisted cadhan vala road again, back on top of the sign. There are way too many gods and idols of the den. Cave formation is very attractive and stunning. Shankar on top of the image of God, I could be watching closely. All these temples are at the gardens and trails. It rises through the charity kitchen. Charity kitchen diner arrangements for tourists are coming here. There are no meal charges. Cleanliness of the kitchen and dining hall is a very striking way. See the whole Ambe Temple area is very clean. Not like to sit in the garden or in the house or office area that would like to have a little rest and replaced. The whole place is so nice to sit here and wanted to see everything. 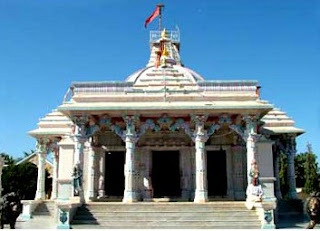 Ambe Mandir three hours has passed, even slightly. This is really a spectacular place.